We specialize in business Information Technology managed services. 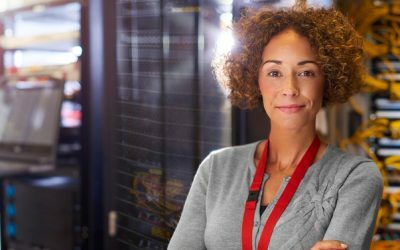 We offer 24/7 network and computer IT and tech support with expert knowledge to quickly solve and prevent all problems so your business runs as well as possible. Cloud services and backup and IT disaster prevention systems are the latest technology for your continuous security and network operations management. Your employees will always be working with us. We are the premier firm providing IT management in Boulder and Denver and 18 additional states in the USA. We manage your IT staff, vendors, infrastructure, and provide forecasting & budgeting. CommonGood IT manages every computer system: servers, firewalls, switches, internet, cloud vendors, PC’s, smartphones, tablets and software to insure your business operates at peak efficiency. Our Denver IT Consultants are here to advise and support you every step of the way. CommonGood IT is a top of the line, information technology firm in the Denver metro area that provides full service tech and IT support services to businesses in Colorado and 22 additional states. Our job is to be your outsourced tech support experts and improve how your business operates through managing your IT better than it ever has been before. Our clients report vastly improved systems uptime and quality, saving money on IT and the peace of mind that comes with working with our team of exceptional Boulder and Denver area IT support professionals who have your back. With CommonGood IT, you can expect excellence. Our talented and experienced IT consultants are among the most skilled in the country. Not only are we exceptionally educated and adroit but we recruit and hire for communication ability and a great IT service mentality. We love an IT challenge. From building an international, fault tolerant network to a broken mouse. We have you covered. If you run a business, you know it is hard to find exceptional people. Our team will show you the difference through communication, dedication, skill and the ability to see how technology can make a huge difference to your success. Here at Common Good IT, our goal is to help your company be everything it can be by improving the quality of your information systems and how your company works with them. We are the IT solution for your business and will help you enjoy peak levels of performance, security, and service with our many service options. From our remote IT support office in the Denver/Boulder area we provide exceptional services like tech support, managed IT services, network security, IT consulting and more to businesses around the US. Everything we do relies on a foundation of integrity, and we strive to uplift our clients, our communities, our planet and our employees with every move we make. Offering IT support services in Boulder, Denver and the surrounding areas, CommonGood IT is YOUR managed service provider. Specializing in end-to-end managed IT services and network security, we’re an outsourced IT support team with the country’s best systems administrators, outsourced CIO and project managers. We provide the Boulder and Denver areas with tech support and IT solutions that will empower your company to be at its best. We’re more than just your partner in tech support and IT management services – we’re your partner in efficiency and growth, whether you’re a new business or an established enterprise, we’re here to help. Call us now to schedule a no-charge initial consultation with a comprehensive network audit, included free. We know what we’re doing and we understand your pain points. Why Can’t I Connect to My Network Drive Anymore? We don’t need to know what we need. These guys understand our business and create reasonable solutions to help us succeed." "While some of their team may be able to quote Monty Python, they are not geeks. I like working with them so much, I referred them to my wife’s company!" 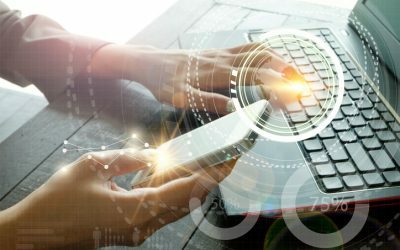 We are an expert team offering computer IT tech management and support. We provide quality, reliable IT support services for your business. In addition, our project management, software development, and network security and back up are second to none. We mainly service the Boulder and Denver, CO areas, as well as providing business tech support management nationwide. Our team is comprised of the most talented and experienced Network Consultants in the country, capable of providing solutions to fit budgets and performance requirements for any challenge. Check out the “Solutions” menu for our wide range of services and how we can partner with your business to help your business be at its best.